Marie-Louise Gay's squat, snub-nosed children with their frenzied locks are as familiar to under-fives as the wild things of Maurice Sendak. 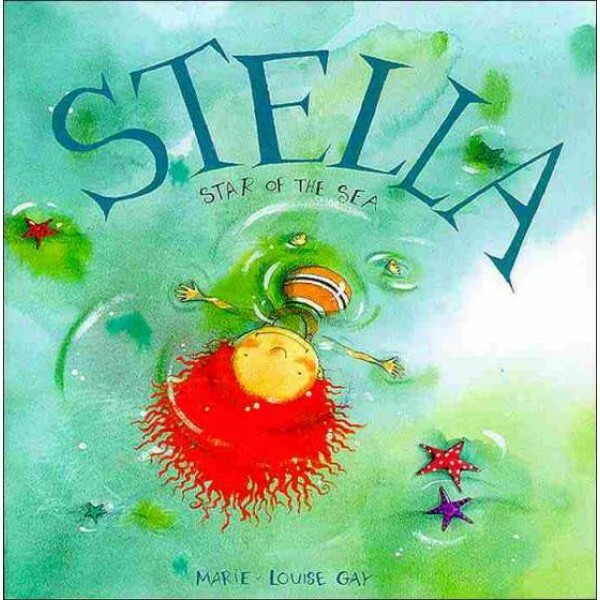 In Stella, Star of the Sea (which won a Governor General's Award for illustration), the gifted picture-book artist introduces the irresistible duo of Sam and his spirited older sister, Stella. "Stella and Sam were spending a day at the sea shore," Gay begins this playful celebration of summer, adding, "It was Sam's very first time." Stella is an adventurer, eager to dive to the ocean floor, tame sea horses, and dig a hole to China, but her little brother, Sam, is made of more cautious stuff. When Stella, looking out at the sea from the top of a delightfully round sand dune, exclaims, "Isn't it beautiful, Sam?" he observes with a characteristic deadpan, "It's very big... and noisy."